To speak about music in Cuba is an analogy. Cuba is the music. There are nice people, splendid weather, the smell of salty residue, and there’s always a reason to party. Other things, like the shrimp, tropical fruits, or beef are a luxury after 54 years of misrule. Cuba lacks essential liberties, but the music goes on. Fidel Castro tried to scrap the Sunday calls to retreat and replace them with arrhythmic marches calling for combat. The olive-green regime planned to transform music. To bury guaguancó, toque de santo, and jazz. But he couldn’t. In addition to inventing parameters to measure the quality of a music, in the medias sent to censure the greats like Mario Bauzá, Celia Cruz, or such a Lupe, only because they chose to observe from the distance the ideological folly established in the island. And the music, like poetry, doesn’t let you break. The trumpeter, pianist, and composer Arturo Sandoval (Artemeisa, 1949), knows this very well. In the flesh has lived the holy war that political and cultural commissioners, scribes and historians, unleashed in 1990 when he decided to move away from the Communist madhouse. According to official decree, Sandoval was to die. It’s rained a lot since then. The times are different. It’s been 24 years, indignant Berliners in the night demolished the wall that divided a same nation. Castro had to change politically. He spoke of socialism or death on a Havana platform, but from the sewers of power, sent especially trying to make negotiations with magnates of capitalism. He had to make accords. With the Catholic Church, the Afro-Cuban religion and with the selfsame devil. He cracked the social discipline and the fear was lost. And in full view you could find blacks on a Cayo Hueso lot, in downtown Havana, between rounds of rum and dominos, daring to listen, at full volume, to Celia Cruz, Willy Chirino, Paquito D’Rivera. or A Time for Love, disco from 2010 by Arturo Sandoval. I was a witness. On November 6th the Cuban trumpeter turned 64. On the 21st of this month his name may be announced in Las Vegas as the winner of a Grammy, the tenth in his career, to go along with 6 Billboard Awards and an Emmy. Although the most moving of all will be the Presidential Medal of Freedom, which will be presented to him in December by Barack Obama, along with fifteen other figures, including former President Bill Clinton, Oprah Winfrey, and Mexican scientist and Nobel Prize winner in chemistry Mario Molina. 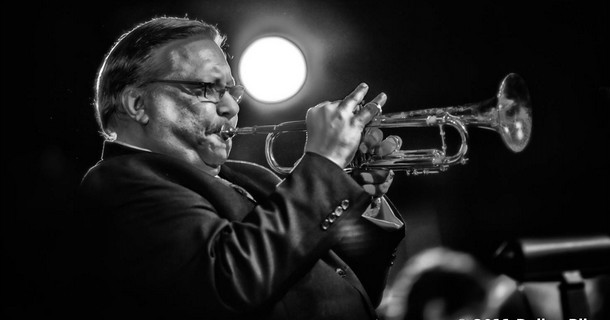 Despite his busy schedule, Arturo Sandoval graciously answered a questionnaire from Diario de Cuba. Arturo, I was a boy when your name rang out with force on the island. I remember you taking complete notes on the trumpet while Irakere was making Bacalao with bread. Would you be able to summarize your artistic trajectory? He doesn’t say it out of modesty, but another dream come true is the Arturo Sandoval Institute, proud institution of Cuban music on two shores. Looking back, Arturo, what did Irakere mean to you? Was Dizzy Gillespie the musician that influenced you most? Your records arrive on the island on flash memory or pirated CDs. I know a DJ in Carraguao who, for 10 CUC, will copy your discography. How do you feel, knowing that despite censorship, Arturo Sandoval stays alive in the memories of many compatriots? In Cuba, some criticized your opposition at the performance of Juanes in the Plaza of the Revolution in 2009. Do you still maintain that while democracy does not exist in Cuba, all cultural interchange is propaganda for the communist autocracy? Would you support an authentic cultural exchange, political or sporting where the Cubans from both shores might be able to offer concerts, games, or debates in their country without permission from the regime? With the Castros in power, do you see yourself giving a concert in the Karl Marx theater or in a plaza in your native Artemisa, now a province? Do you believe the shipwreck of the national economy has reduced the quality of Cuban music? When you lived in Cuba, the people spoke against Fidel Castro, muttering in their living rooms. Now no. In many places they carry on about the malfunctioning of the government. There are those who continue seeing the game from the bleachers, but cases like Robertico Carcassés’ happen. What kind of value do you place on the controversies and public criticisms against the regime that take place today among the intellectuals and also the everyday Cubans? Your opinion about the intention of Chucho Valdés to regroup the musicians of Irakere and offer a nostalgic concert. How do you see this post-mortem homage that they want to give to Bebo Valdés in the next Havana Jazz Festival? What have you got new for the next few months? Arturo, with your hand over your heart, are you coming back to a democratic Cuba one day, or do you believe it will continue being a utopia to whomever it’s worth the trouble of continuing to struggle? Video: Havana, 1985. Dizzy Gillespie and Arturo Sandoval in Night in Tunisia, composed by Gillespie en 1942.